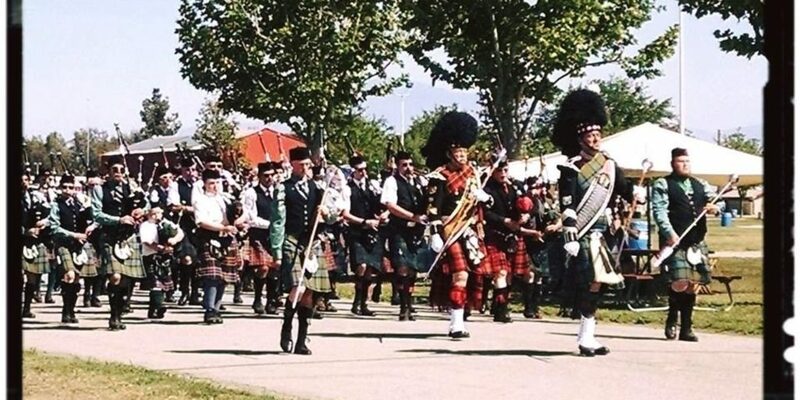 The 24th Annual Kern County Scottish Games and Gathering has something for every member of the family. Experience the rich culture and history of Scotland firsthand through an array of authentic activities, athletics, dancing, entertainment, and cuisine. Listen to the Bag Pipe Bands, enjoy a cup of tea and a scone in the Tea Room, watch the dancers, see the herding dog demonstration, watch the Heavy Athletic Competition, hear acoustic and celtic rock bands, visit the vendor building and buy a kilt, learn about your family in the Clan Tents, drink a pint or join the scotch tasting, sample Scottish Food (try a banger, meat pie, or haggis) and American Food, buy a raffle ticket or become a member of the Kern County Scottish Society, take the kids to the Children’s Glen and enjoy the petting zoo or get your face painted, find Merida and take a picture together, or try the children’s heavy athletics area. Kids 5 years and under free with adult paid admission. Children 6 – 11 only $1 with adult paid admission. Paid parking (proceeds and fees collected by the Kern County Fairgrounds) across the street from the Fairgrounds, including handicapped parking. Parking fees charged are $5. Friendly dogs on a leash, strollers, wheelchairs, and mobility carts are welcome. Email info@kernscot.org or call 661-865-8890 with any questions. What’s the refund and restriction policy? There are no refunds. We reserve the right to refuse service to anyone who is not dressed appropriately or distributes material contrary to standards established by the Kern County Scottish Society. Anyone causing a disturbance will be asked to leave and a refund will not be issued. Yes, please bring your printed ticket to the Will Call Booth. Will there be discounted tickets for children? Yes, these will be available at the Fairgrounds on the day of the event. Children 5 years and under are free, Children 6 – 11 years are $1.